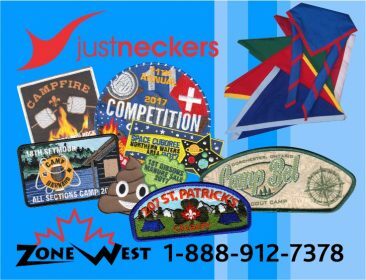 Linking Sections from Beavers to Cubs, Cubs to Scouts, Scouts to Venturers and Venturers to Rovers is one of the most important aspects of Scouts Canada programming. It is through linking that youth are able to see the exciting adventures ahead of them and what they can achieve in Scouting. With linking, youth are able to form good relationships and friendships with older youth. For me, linking was one of the biggest influencers on me continuing on in my Scouting career. When I was in Cub Scouts, I did not want to move up to Scouts because I was scared to go winter camping. By doing linking activities with my new Scout Troop, and with the encouragement from my Scouters, I finally came to the conclusion that Scouts would be a lot of fun, even though we had to go winter camping. During meetings, I learned how to prepare myself to go winter camping through planning upcoming adventures and reviewing past experiences. Another fun part of linking Sections is being in the older Section and leading the younger youth in activities. Telling youth about all the fun adventures they will have when they move up is also a great way to encourage their participation. Now that I am in Rovers, I have had the experience of linking throughout all the youth programs in Scouts Canada and I am able to help with the transition of Venturers to Rovers with my Venturer Company and Rover Crew at home in Sault Ste. Marie (20th Sault Ste. Marie). I also can assist as a Colony Scouter with linking between Beavers and Cubs in the Windsor-Essex Area in Sault Ste. Marie. With the Venturers, we invite them out to meetings, activities and camps that we have so they can see all the crazy, fun things that we do like board games, moots, nerf-gun battles and forming some of the best friendships they will ever have. And with the Beavers, they are invited to attend Cub meetings and attend weekend camps for the day. At camp they always have a fun time and look forward to sleeping in tents outside, learning to tie knots and fish. Cubs linking with Scouts discover the new challenges that lay ahead of them and how they can achieve things they didn’t think possible like winter camping, longer hikes, how to pitch a tent in 3 minutes, improved leadership skills and working towards the Chief Scout’s Award. Linking the youth Sections in Scouting is an asset that is always necessary to see what is coming next for youth in their future years of Scouting. Linking the youth Sections in Scouting is an asset that is always necessary to see what is coming next for youth in their future years of Scouting. Without being able to link with the older Sections, I wouldn’t have known to be excited about what was coming and how I could learn about so many things about myself and life in general. I strongly encourage each and every Section in every Group in Scouts Canada to link with the older Sections to get your youth excited about the adventures that await them! Get On The Path With Troop!